A fitting which is both sleek and playful. The name of Stove did not come out of the blue: from below, you can clearly see the outline of a stove, with the asymmetric foot as the flue. Stove is the result of pure geometry and has been perfected down to the smallest detail. Although the lamp has robust, clearly defined lines which do not merge into one another, it still retains a perfect balance. 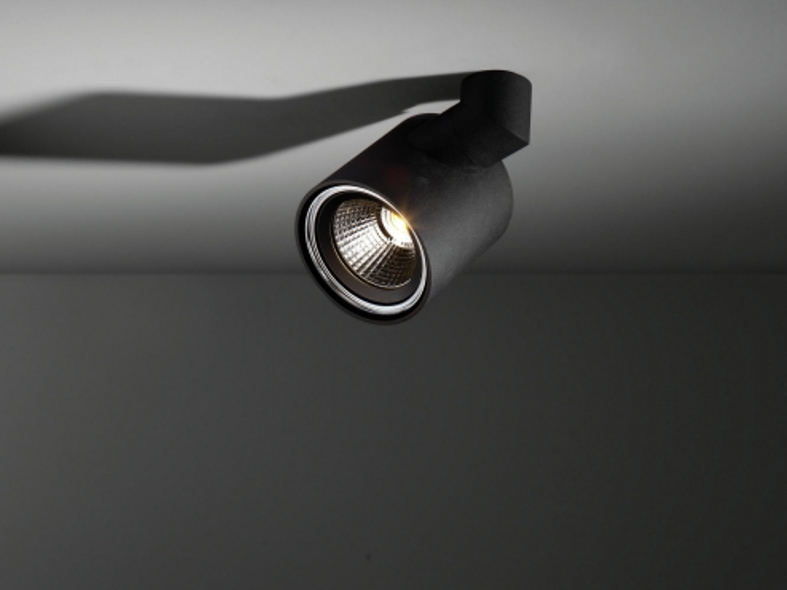 The unusual thing about Stove is the two pivot points which make this spotlight a particularly versatile and highly directional light source. Designed by Couvreur & Devos.